We recently worked with Renmark Paringa Council, to produce some collateral to promote the new ‘Riverland Smarthub’ which is a collaboration between educational institutions, Local Government and Regional Development Australia. 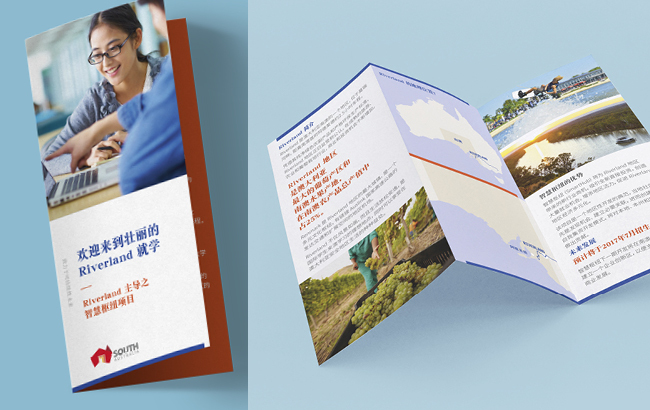 These brochures are targeted towards Asian and International students thinking about studying and training in the Riverland, and were designed to fit the Council’s existing brand. As well as producing an english version of the DL brochure, we were also tasked with producing a version in Mandarin.